Bidding started at £1, but within 24 hours had risen to £8,001. The following day saw a rise to £11,501 and before the auction closed had reached the reserve price. 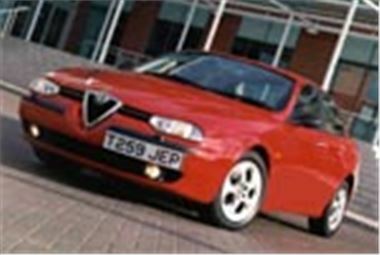 The auction finally closed on Monday 3rd December and the winning bid purchased the Alfa. Mr and Mrs Benton are collecting their new Alfa from Broadspeed's Colchester premises on Saturday 15th December. Currently, Broadspeed is offering www.lastminute.com customers a Mercedes-Benz A170 CDi Avantgarde, a VW Beetle 1.8 Turbo, an Alfa Romeo 147 2.0 Lusso and, just in time for Christmas, a classic Ferrari 308 GTS carburettor. Both www.lastminute.com and www.broadspeed.com are delighted with the initial success of the joint venture and plans are being laid to extend the service to nearly-new and even to used cars.